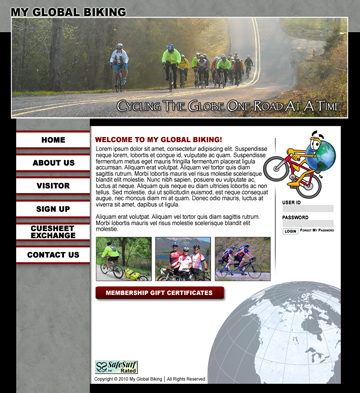 This website is designed and built to be the �Facebook� of cycling. Site uses a custom design with advanced programming features. Create and Join Cycling Clubs - Form riding clubs and ride to the front of the pack. Move your biker dude to the lead by logging more miles than your club buddies. "Lercher Media Works is a one stop business media center. They did a wonderful job designing our site. They listened closely to our needs and made valuable suggestions along the way. The end product was everything we envisioned it would be and then some. With Lercher Media Works you get professional workmanship at a price that is below high end marketing firms. Greg and his staff treat you as family and have the computer expertise to meet your every demand.Thanks Again!"